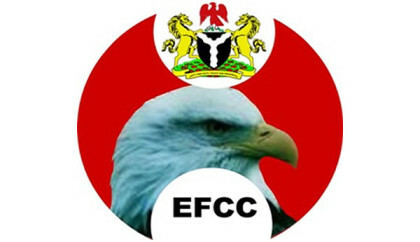 Acting Chairman, Economic and Financial Crimes Commission, EFCC, has urged Naval ratings undergoing the Basic Intelligence Operative Course 18/16 at the Nigerian Navy Intelligence School (NNIS), Naval Base, Lagos to join hands in the fight against corruption. In his lecture titled: ‘‘History, Roles and Organizational Structure of the Commission,’’ Magu also charged the ratings to be more patriotic. According to him, the collaboration with the Navy had helped the Commission to effectively prosecute some cases involving citizens and foreigners alike, thereby leading to successes recorded in conviction rates in courts. In his remark, the acting Commandant, Nigerian Navy Intelligence School, Lieutenant Commander N. N. Sata-Owugha, while appreciating the Commission for broadening their knowledge on the history, activities and achievements of EFCC, expressed the hope for a sustained working relationship between the Navy and the EFCC in order to free Nigeria from the vice-like grip of economic saboteurs. He also sought new grounds of collaboration, especially in training needs of operatives between the Navy and the Commission. Seaman Mohammed A. A., a rating of the school, thanked the Commission, on behalf of his mates, for the opportunity to have insight into the workings of the Commission, adding that they were better enlightened and educated.